On June 21 we invite our guests to join us as we celebrate National Aboriginal Day at Trout Lake with a community-based, full day of events set to showcase and celebrate the diversity of Indigenous people across Canada. Water lovers join First Nations, Métis, and Inuit people to share their spirit, experiences, stories, songs, art and dance with each other and the general community – with a whole day of entertainment, activities, and fun planned for the whole family. June 21st is National Aboriginal Day, a day for all Canadians to celebrate the cultures and contributions to Canada of the First Nations, Métis and Inuit people. 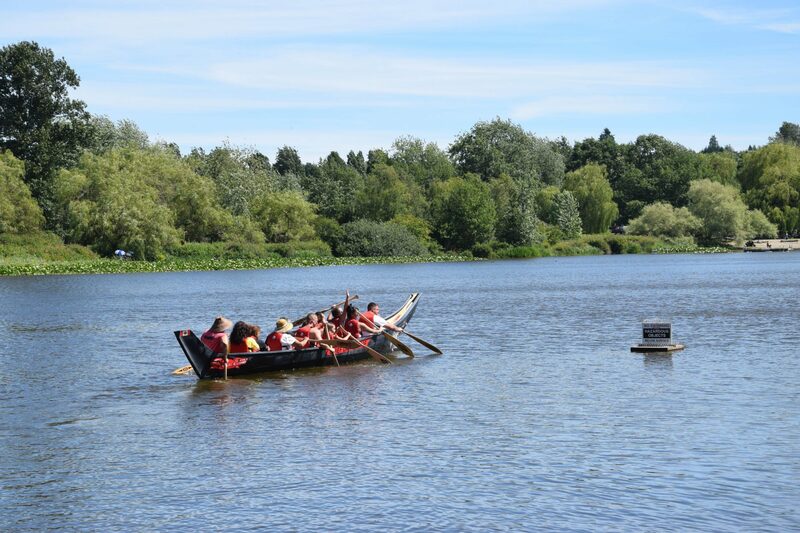 The celebrations at Trout Lake will include singers, dancers, speakers, a Pow Wow, and food vendors from noon – 5:00 p.m.
National Aboriginal Day was proclaimed in 1996, by former Governor General Roméo A. LeBlanc. Today National Aboriginal Day is part of the annual nation-wide Celebrate Canada events: a four-day celebration that begins with National Aboriginal Day, continues with St-Jean-Baptiste Day, Canadian Multiculturalism Day, and then concludes with Canada Day. From the Pinnacle Marriot Hotel, 1128 W Hastings St, Vancouver, to Trout Lake: walk to Burrard Station and take theExpo Line to King Georgeto Commercial – Broadway Station. Walk six minutes to the John Hendry Park Booth, 3300 Victoria Dr, Vancouver.